Disclosure: This post is sponsored by The Little Potato Company. All opinions and text are my own. 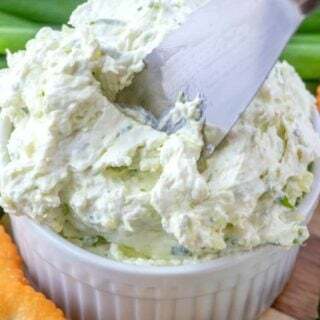 When you think of your favorite vegetable, what is it? 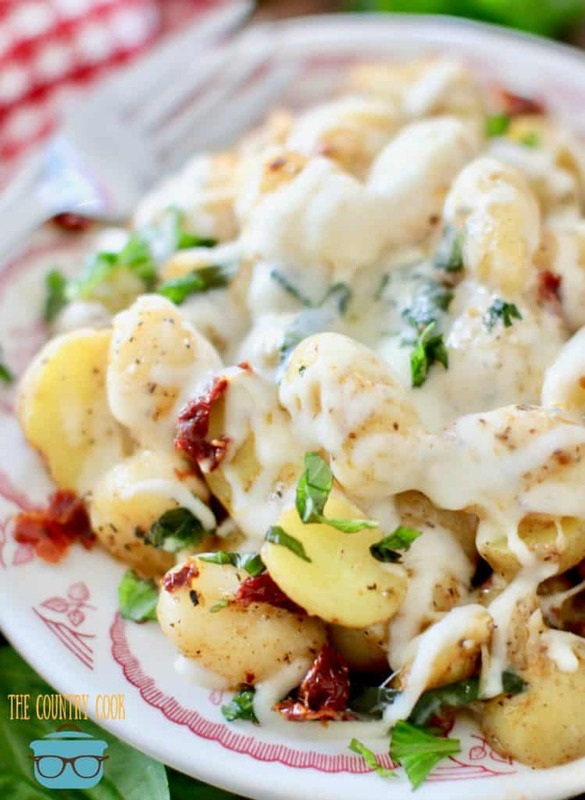 If you’re like many of us – it’s the delicious, nutritious, versatile potato. I can’t tell you how much I love creating new recipes with this veggie. It never gets old for me. 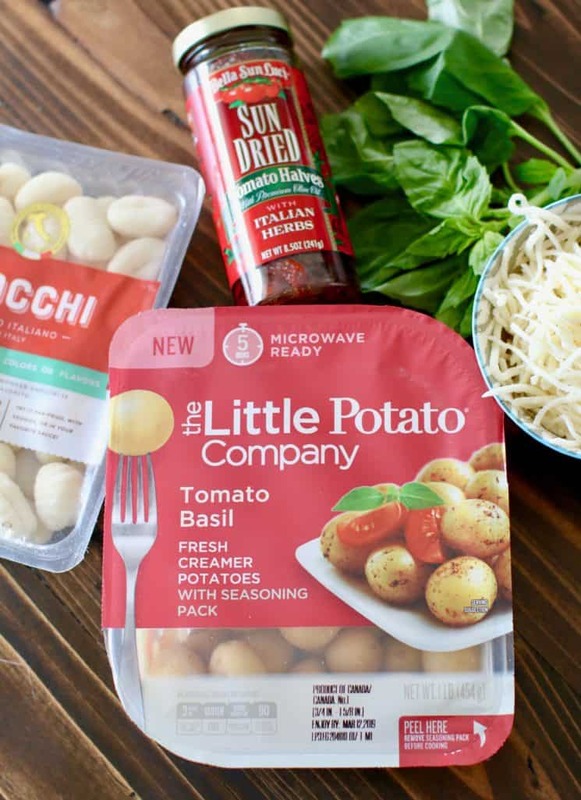 So, when I got my hands on some of The Little Potato Company’s newest microwaveable Creamer potatoes – Tomato Basil! 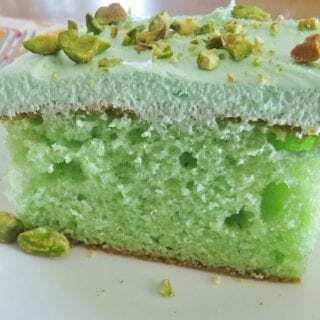 – I decided to have a whole taste-testing extravaganza! I let friends and family get in on the action too! Pssst: I also tasted a new flavor for the oven-ready Creamer potatoes but I’ll share more on that later! 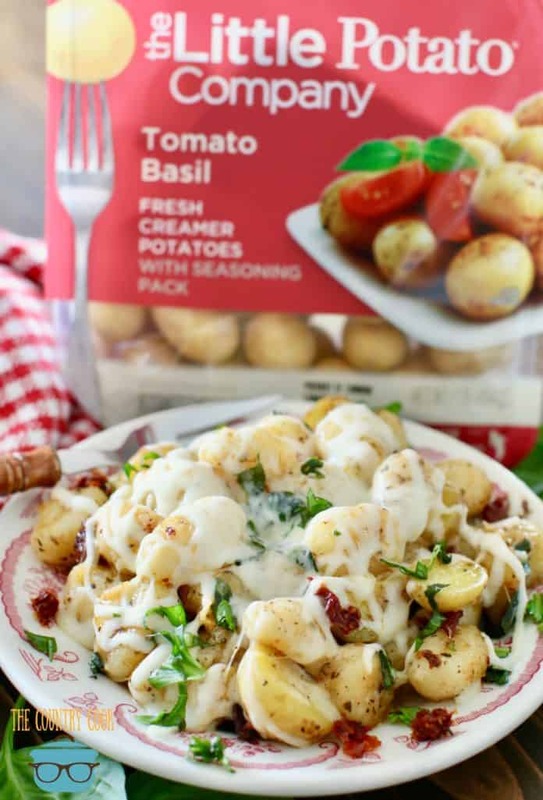 At first I think we were all skeptical about Tomato Basil being a flavor that complements potatoes. I can honestly say that flavor combo had never occurred to me or any of us. Um – we were so wrong. I’m gonna go ahead and say that I think this is my new favorite flavor. Everyone truly raved. 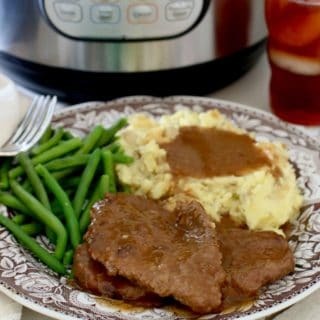 It’s only a 5-minute microwave cooking time and all I had to do was add a little olive oil and the seasoning packet and stir. 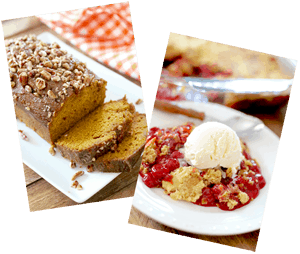 We all agreed that if folks gave these a try – they would be blown away. Hand clap to The Little Potato Company for coming up with this one. If you see it at Wal-Mart, (in the produce section near the other potatoes) do yourself a favor – a flavor? 😉 – and pick one up. 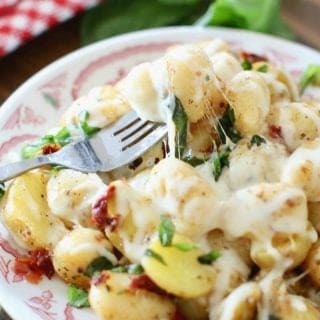 Maybe serve them with my ITALIAN-INSPIRED CHICKEN! 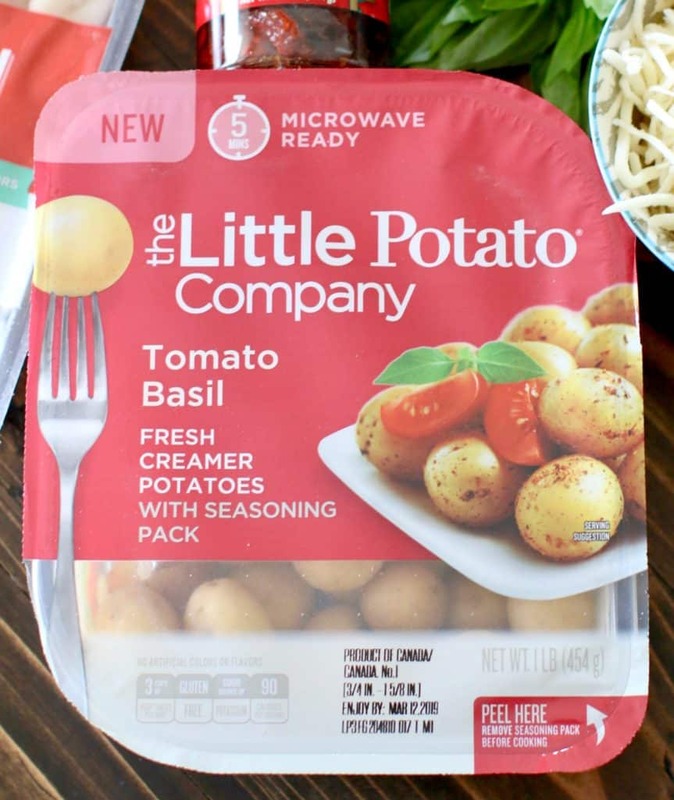 I know many of y’all have been using The Little Potato Company’s microwave packages for a while. 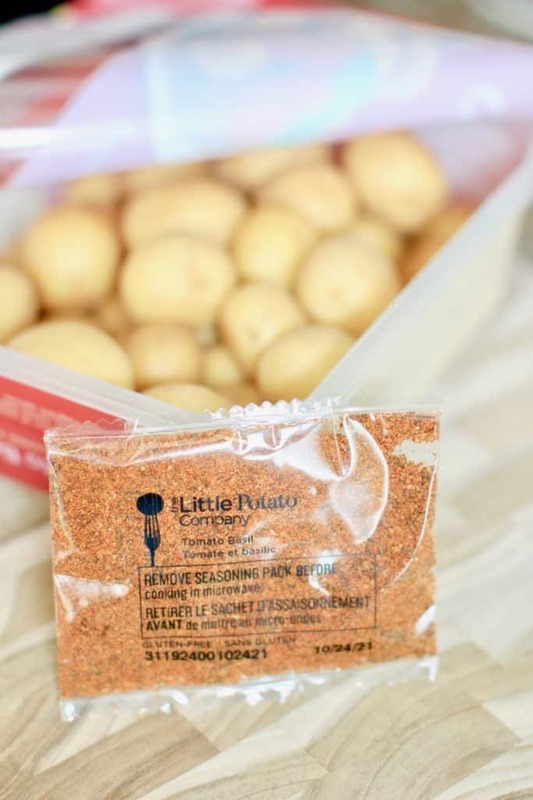 You’ll want to look out for this all new packaging with the same delicious Creamer potatoes! I love that you can actually see the potatoes in the packaging now. 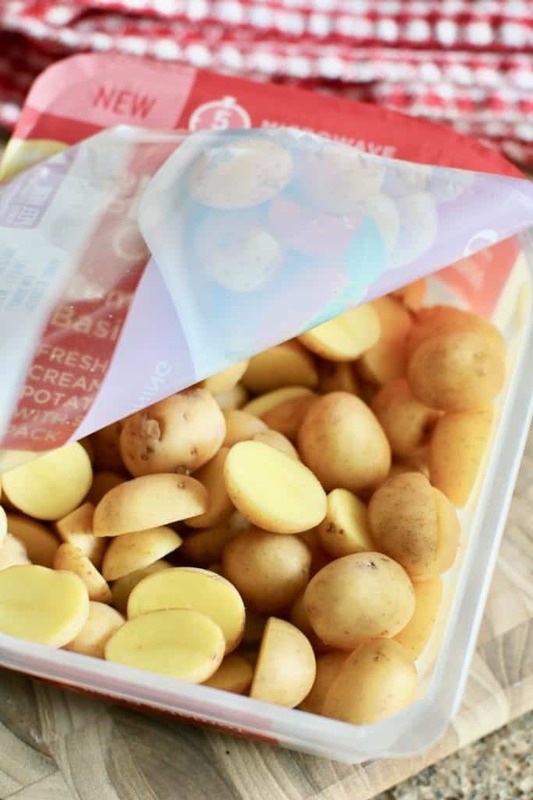 The Little Potato Company has also reduced the packaging size, to help reduce waste but it’s still the same weight of potatoes as in the previous package design. to learn more about a specific flavor. 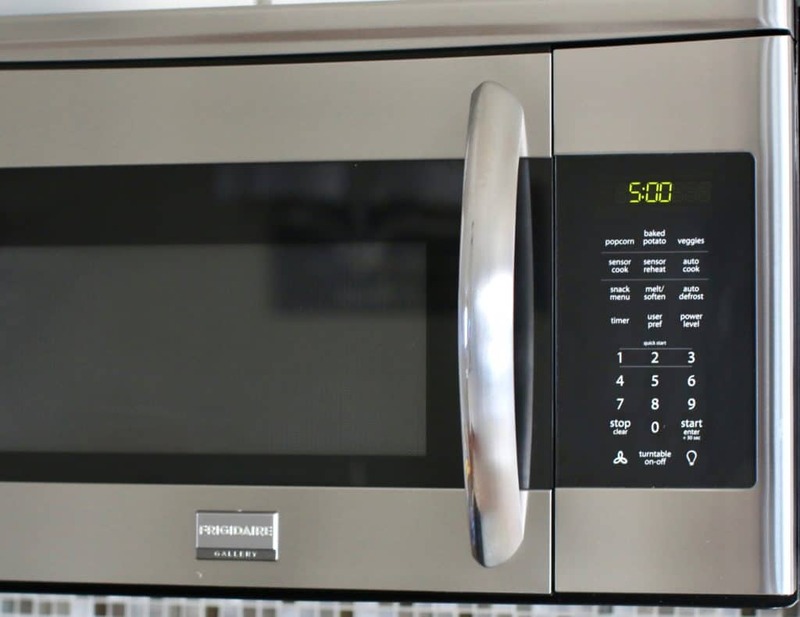 Tip: Before cooking in the microwave remember to peel back the cover and remove the seasoning pack! 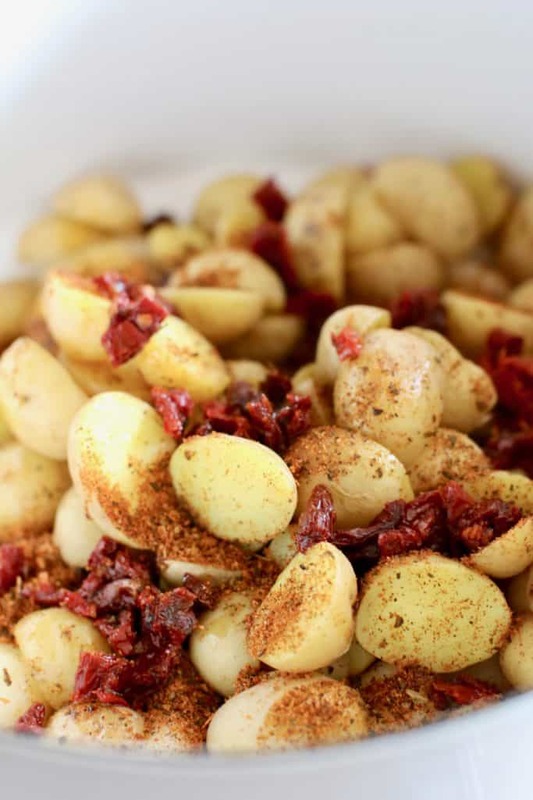 Cook’s Note: You want to look for the sun-dried tomatoes that are packed in olive oil and seasoned with Italian herbs. 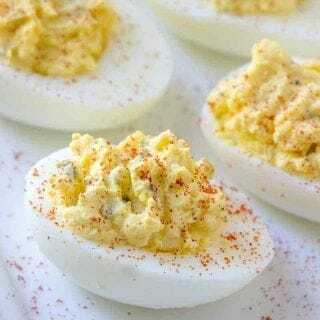 This is going to add a ton of flavor to this recipe! Set aside at least 1/4 cup of the oil from the jar of sun-dried tomatoes. Then remove about 5-6 sun-dried tomatoes (about a 1/4 cup, or more to taste) and dice. Open microwaveable package (opening from one corner so that it can be resealed) and remove the tomato basil seasoning. Optional: remove the Little potatoes and slice in half. I like to do this so that the inside of the potatoes will get coated in the seasoning but it’s not necessary. Microwave potatoes for 5 minutes. While potatoes are cooking, bring water to a boil in a 4-quart pot. 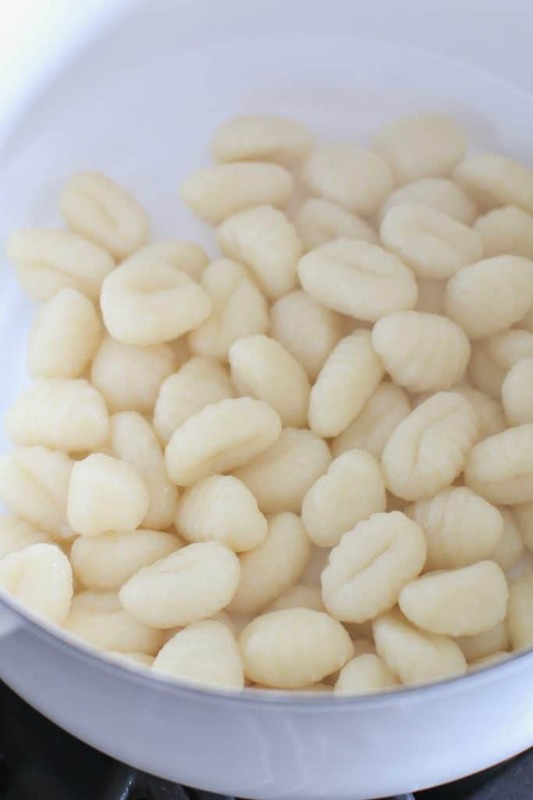 Boil gnocchi for about 3 minutes. 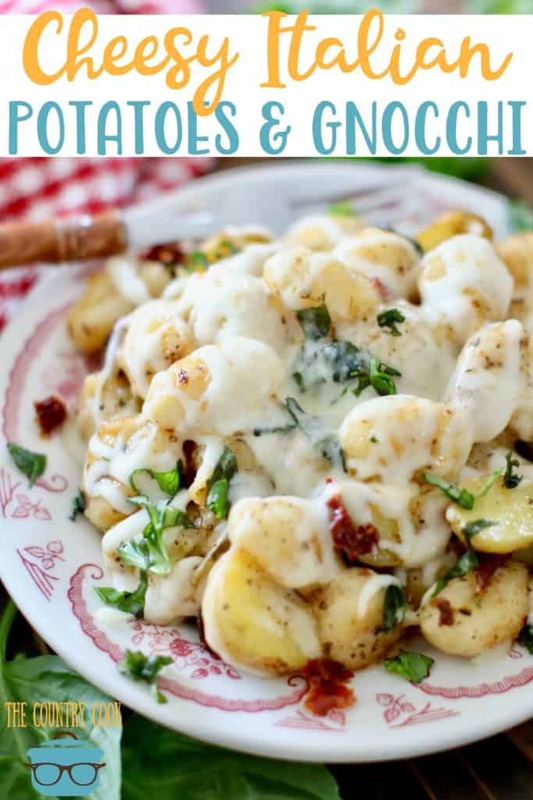 You’ll know when the gnocchi is ready when they begin floating to the top. 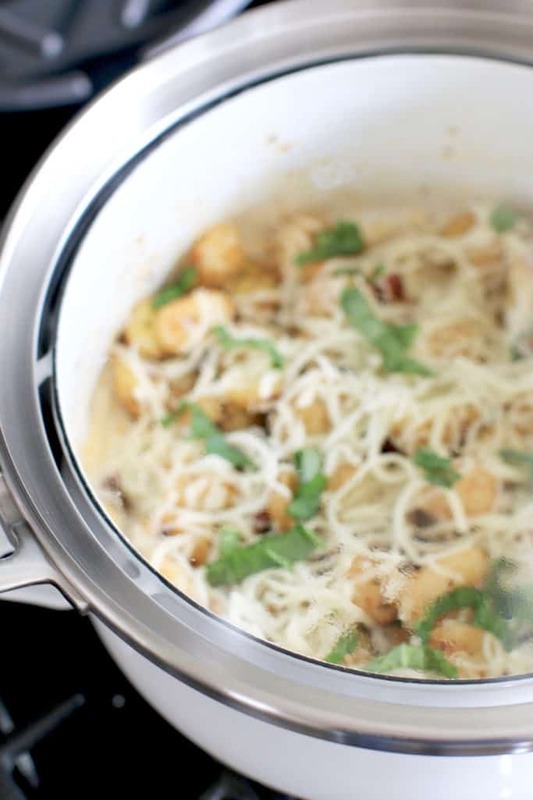 Turn off heat and drain the cooked gnocchi and place back into the pot. 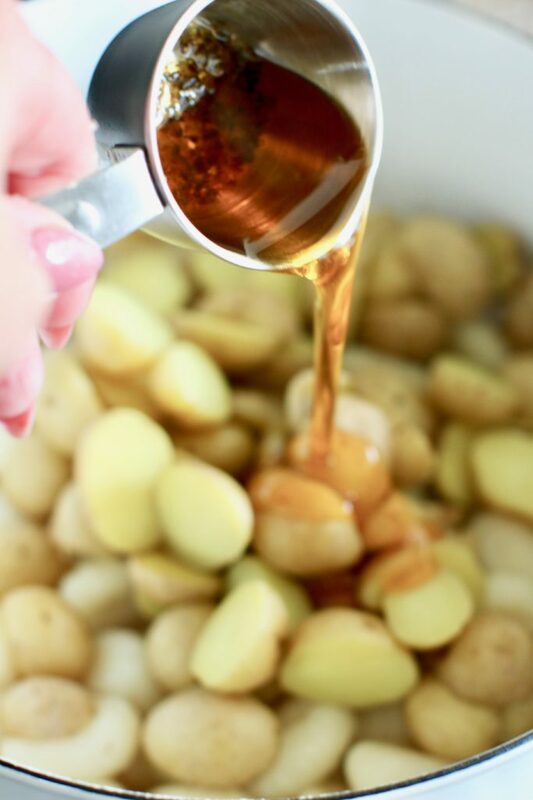 After potatoes are cooked, add them into the pot with the gnocchi and pour in reserved oil. Then add diced sun-dried tomatoes and tomato basil seasoning packet from microwaveable Little potatoes. Give it all a gentle stir to combine thoroughly. You want to make sure it all gets coated well. 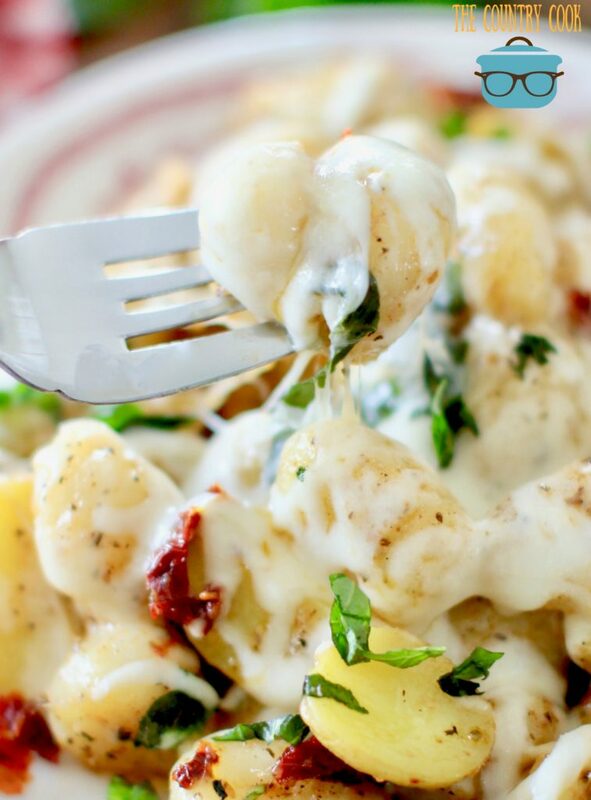 Top with shredded mozarella and fresh basil. Cover the pot with a lid to allow the cheese to melt. Note: The pot is not on any heat at this point. We’re just using the residual heat from the potatoes and gnocchi to allow it to melt. If necessary, you can turn the heat on low to allow the cheese to melt faster. Just keep a close eye on it. 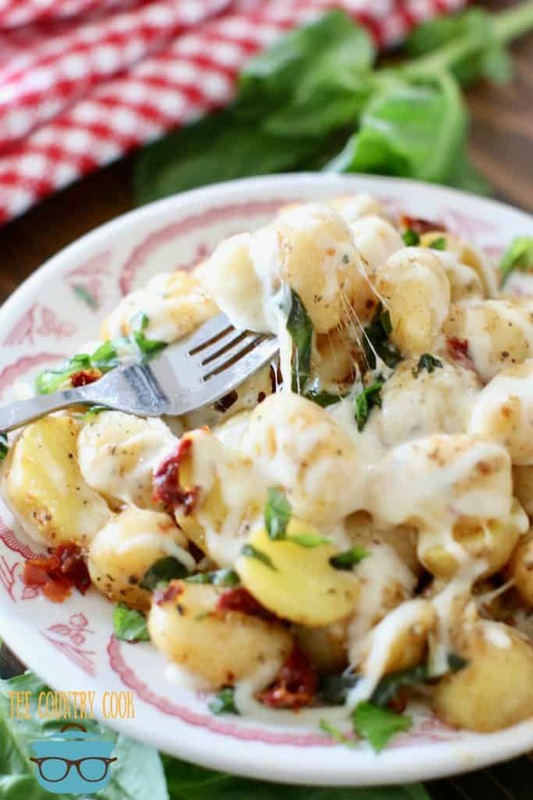 These Cheesy Italian Potatoes and Gnocchi can be made in under 20 minutes. 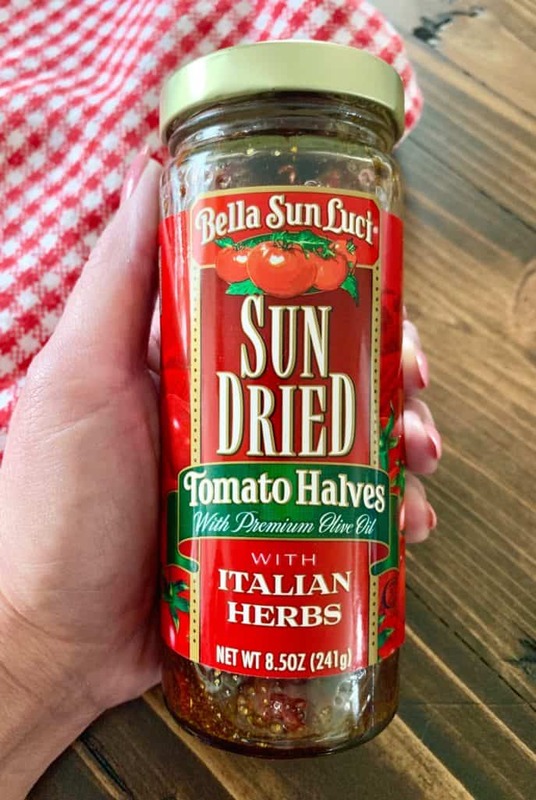 Sun-dried tomatoes, fresh basil and a tomato basil seasoning make it amazing! Remove the Little potatoes and slice in half. 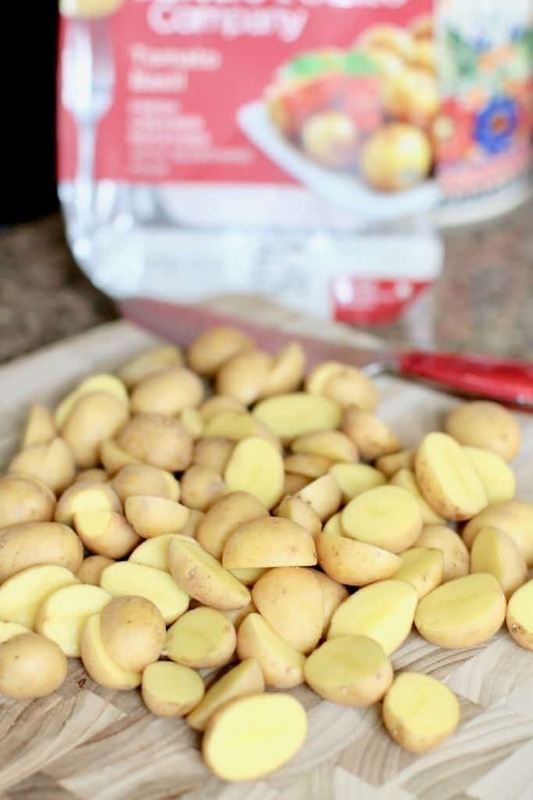 While potatoes are cooking, bring water to a boil in a 4-quart pot. 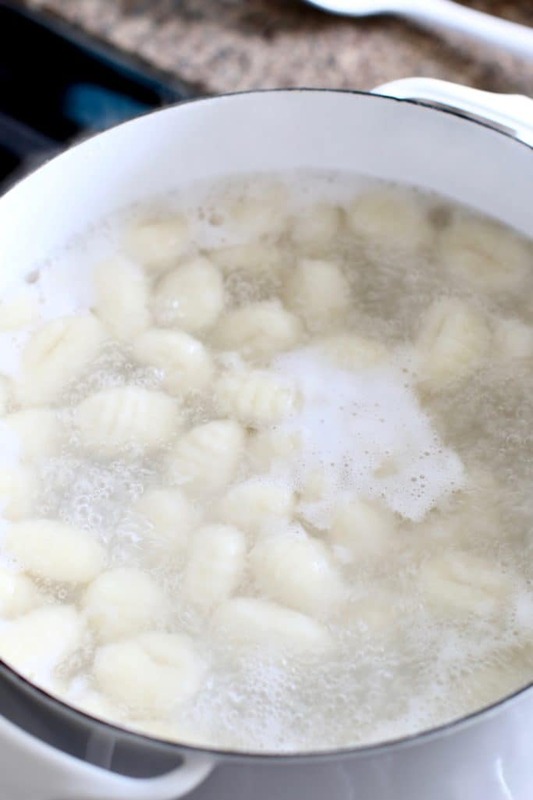 Boil gnocchi for about 3 minutes. 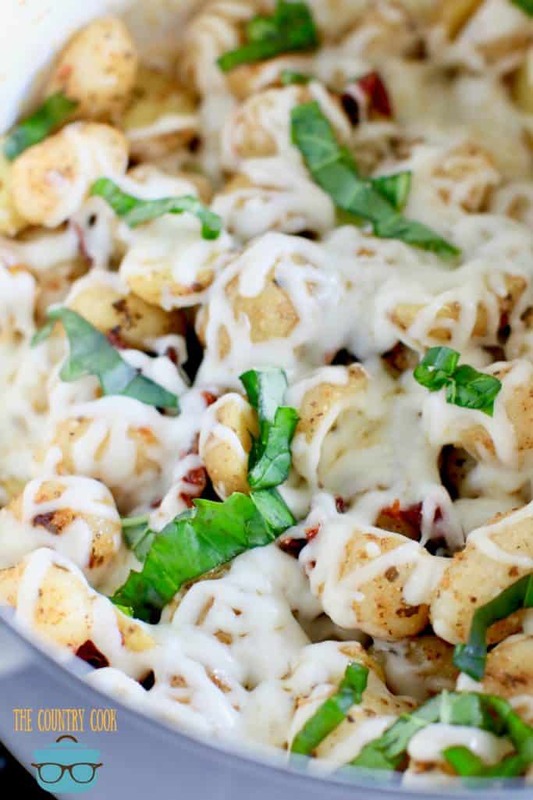 You'll know when the gnocchi is ready when they begin floating to the top. 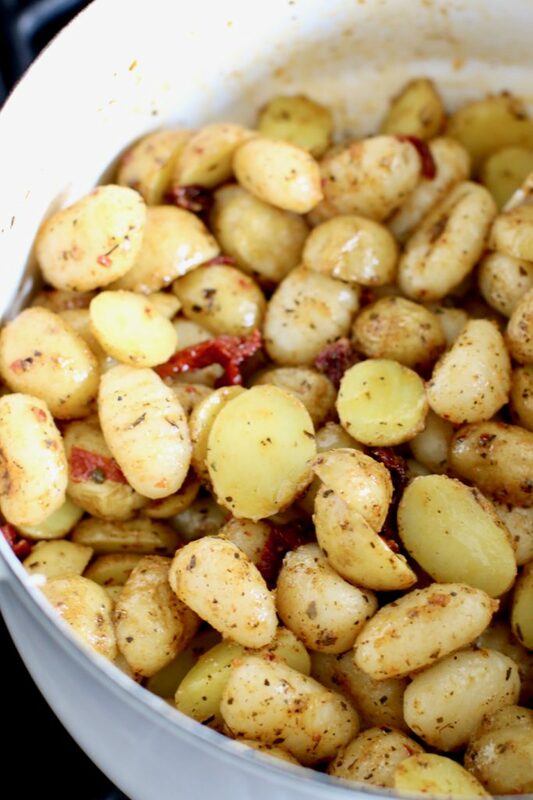 After potatoes are cooked, add them to the pot with the gnocchi and pour in reserved oil. Cover the pot with a lid to allow the cheese to melt. Note: The pot is not on any heat at this point. We're just using the residual heat from the potatoes and gnocchi to allow it to melt. If necessary, you can turn the heat on low to allow the cheese to melt faster. Just keep a close eye on it. Then serve and dig in. Top with more fresh basil, if you prefer. 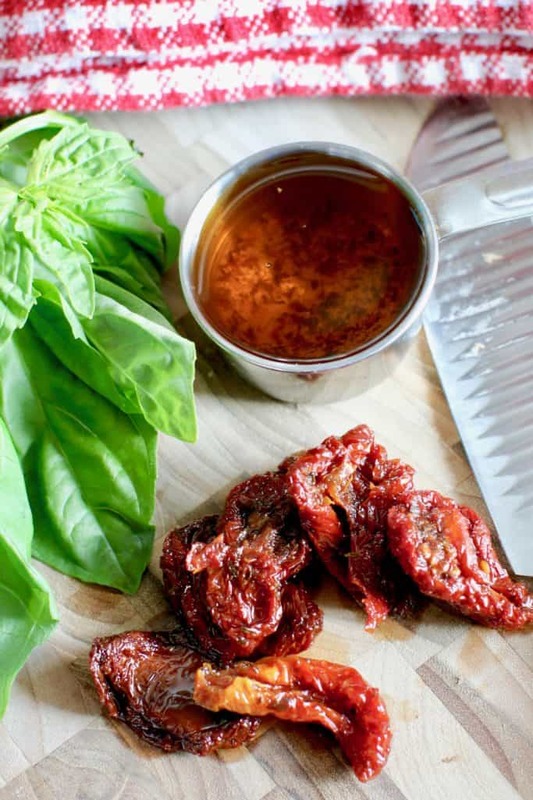 You want to look for the sun-dried tomatoes that are packed in olive oil and seasoned with Italian herbs. 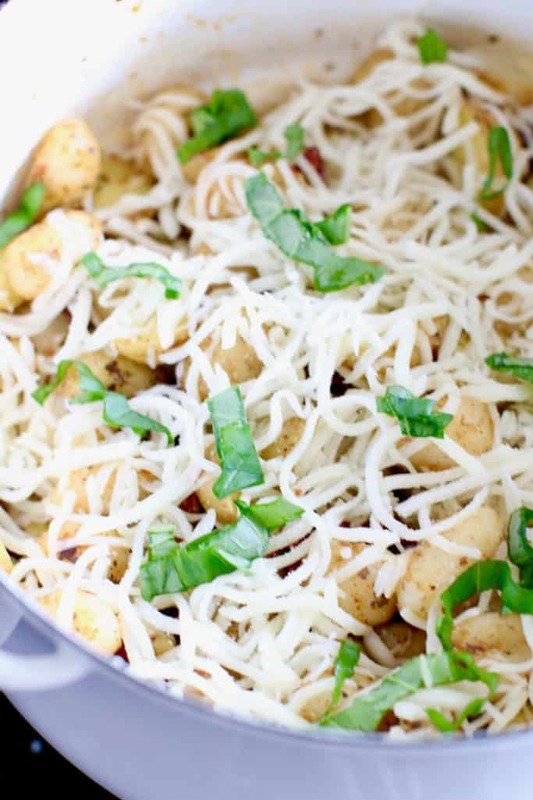 This is going to add a ton of flavor to this recipe! Hi Mary! I actually make that at home pretty often. 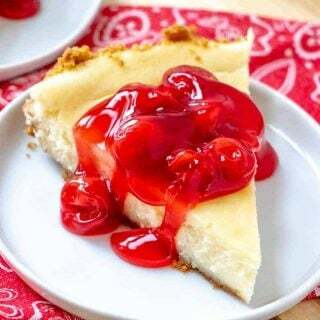 The only problem is I don’t have the recipe written out yet. I’ll post it here on the blog as soon as I do! 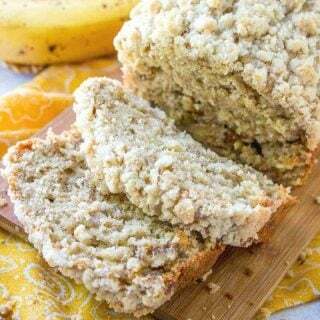 This would really be good with some shredded chicken (rotisserie) with this combination! I look forward to trying and will leave my results. Looks really good! Thank you for sharing!